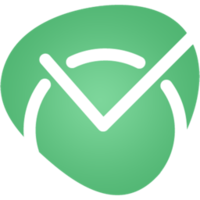 TimeCamp is an integration that allows you to track time of any project without leaving Asana. TimeCamp seamlessly imports all the assignments and categorizes them as the same way they’re set up in Asana. This integration enables you to log hours or minutes of every project, task or subtask. Watch the screencast of TimeCamp and Asana. Why connect TimeCamp and Asana? This integration lets your team know how much time is spent on a particular activity. It provides detailed reports with insights into projects so that you can square up with clients accurately. Go to Settings and navigate to Add-ons bookmark. Find Asana on the list of integrations and click on “Enable” button. Click on "Enable the integration" to connect your TimeCamp and Asana accounts. If you’re not logged into Asana, you’ll be redirected to the login page and asked for confirmation to enable the integration. Otherwise, your integration will proceed automatically. Choose which of your workspaces should be synchronized to TimeCamp. Optionally, you can invite people assigned to workspaces. TimeCamp will automatically import all of your projects and tasks. From now on you will be able to track the time spent on each assignment! Download TimeCamp Chrome extension and start tracking time directly In Asana. To learn more about using TimeCamp and Asana together, explore their knowledge base, read the TimeCamp manuals, or view their most frequently asked questions. For direct support, contact their support team.